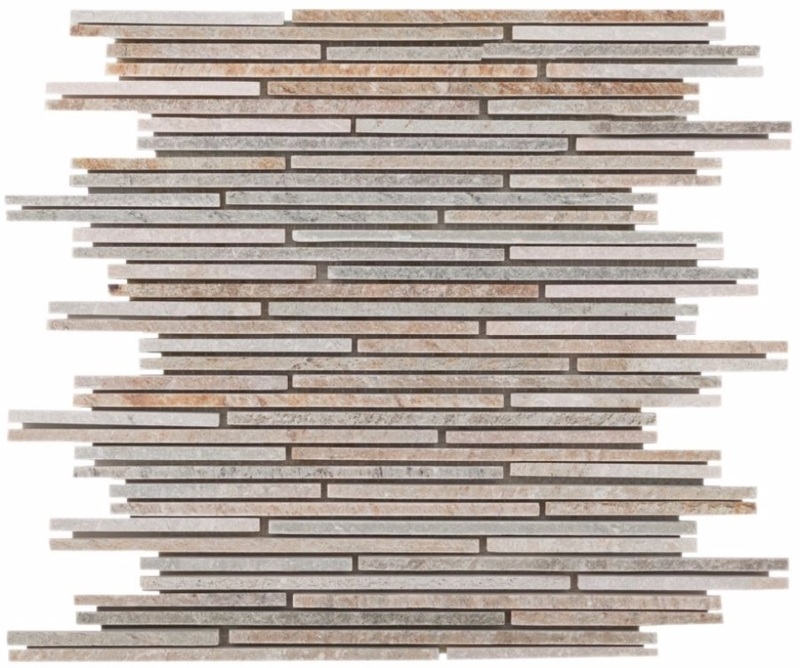 Golden White Bamboo Pattern 12x12 Mosaic Quartzite has beautiful earth toned colors. It feature rich golds, whites, grays and rusts.The natural cleft finish makes this a great wall solution while the gauged backing makes installation a snap. This is a mosaic from the collection done in a strand design. Look for the matching panel ledgers from the collection. Slate is a natural stone and due to characteristics of natural stones each piece of tile will have shade color and hardness variations. All sizing is nominal.